Touted as a smart oven, the Breville BOV800XL works with Element IQ technology that distributes heat evenly and efficiently. More energy efficient than a full-size range, with a sealing door that traps heat, the oven also has a convenient slide-out rack to reduce the risk of burns. The Breville BOV800XL combines aesthetics with function for an all-around great value. This Calphalon electric extra-large convection oven heats up rapidly and to accurate temperatures. The oven has an attractive brushed metal exterior and a control panel consisting of a digital display and two dials. Overall, its performance is impressive, working quietly even on the convection setting. Clean-up is easy too, with a nonstick interior and a crumb tray accessible from the front. 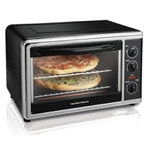 Featuring two removable racks, this Hamilton Beach convection oven fits comfortably on the counter and is large enough to hold two pizzas or two casserole dishes. We loved the versatility of this oven, which includes equipment for rotisserie roasting, as well as broiling settings. For households that entertain, the oven’s capacious interior will come in handy, particularly around the holidays. Holding up to two 12-inch pizzas or a 4-pound chicken, this KitchenAid convection countertop oven has a special safety feature that automatically turns it off after so much time. The oven is also designed for ease of use; the crumb tray, for instance, can be emptied from the front so you don’t have to turn the oven around. It’s both stylish and simple to program. Featuring a large LCD display, the Frigidaire Professional 6-Slice Convection Toaster Oven highlights the oven’s settings clearly. The simple controls, consisting of two dials, makes programming the oven a breeze. Its brushed stainless steel exterior makes it an attractive addition to the kitchen. With the strength and function of a small oven, which also makes great toast, this Frigidaire model is nicely priced at $128.25. 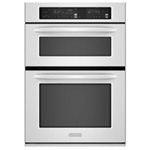 An affordable large convection oven with plenty of features, the West Bend 74206 circulates the heat evenly to maximize its baking performance. 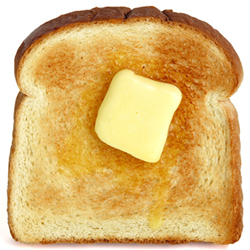 The other settings are broiling and toasting. Simple to use with three clearly labeled dials, it features a wire rack that doubles as a cooling rack. We liked that the oven, while roomy, is still lightweight and doesn’t dominate the counter. Versatility and convenience are key features of this Black & Decker TO1640B 6-slice convection oven. 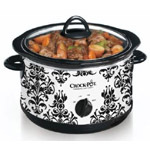 It also functions as a broiler with an easy-to-clean, nonstick interior. The back is rounded to perfectly accommodate a 12-inch pizza. We were pleased by how quickly it heats up, and by how much energy it saves compared to a regular oven. A modestly priced countertop convection oven, the Black & Decker CTO4500S is designed for ease of use. The rack slides out for safe access to the food, and the crumb tray slides out completely for easy cleaning. 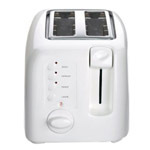 It handles toast easily, and as an oven it has enough power to efficiently bake or broil. We liked how well it bakes pizza, giving it a crispy crust. Reaching temperatures of up to 450 degrees, this Oster 6-Slice Extra Capacity Convection Oven has baking, toasting, warming, and broiling capabilities. We liked the simple, clean design of the oven, with its three dials and viewing light. 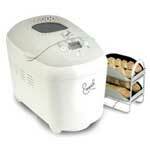 For such a reasonably priced convection oven, this Oster oven has great versatility, large capacity, and ease of use. 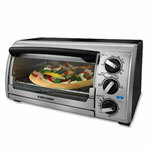 With two tiers, the DeLonghi Digital Convection Toaster Oven can cook two 12-inch pizzas at once, or two dishes. Families will appreciate the speed at which they can bake dinner while saving energy at the same time. 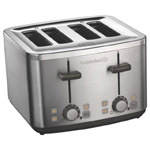 Its convection capabilities allows it to distribute heat more evenly and faster than traditional toaster ovens. Its other functions are consistent with an oven of this size and price.